Worcester Roots is a grassroots organization sustained by our members – individuals who care about the issues we are passionate about – in Worcester and beyond. Donations sustain our programs and ensure that we are able to provide empowering youth employment, develop and share curricula, and do essential work for environmental, social and economic justice in Worcester. Your donation to the Worcester Roots is tax deductible. The easiest way to donate to Worcester Roots is online, through PayPal or with a credit card. We also accept checks and cash donations. You can mail checks to our office at: 4 King St, Worcester, MA 01610. Disclaimer: Funding suggestions from donations above will be taken into account whenever possible, but the organization may encounter commitments (and/or lack of need) that may require us to spend some of the donations differently. 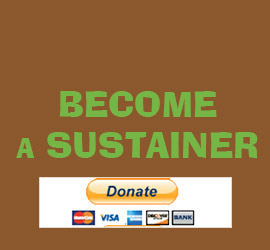 Or help us grow by becoming a monthly sustainer. Just like roots need regular watering, our Roots need regular contributions and love.